We have investigated a number of sonochemical reactions within a simple sonochemical reactor. In order to understand the results obtained from sonochemical experiments it is vital that a well-controlled acoustic environment is maintained. In order to gather a full understanding of these environments appropriate modelling of the acoustics within the electrochemical cells that we have employed in our research is undertaken. These acoustic models can then be verified by comparison with photographic experiments. 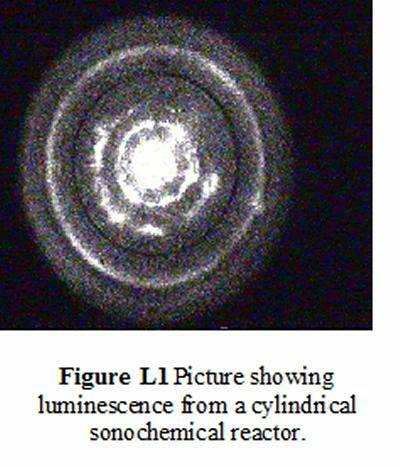 Figure L1 shows a picture recorded above a cylindrical sonochemical reactor. The light areas depict the regions where cavitation is occurring. Figure L1 shows a set of well-defined rings, which are predicted by the acoustic model of the system, the spacing of which can be used to assign the actual mode within the reactor. In addition to understanding the acoustics within these sonochemical reactors, we have employed a novel electrochemical technique to detect the reaction products produced within the cell. One such approach utilizes an electrochemical flow cell and is able to detect products from radical reactions induced by the conditions thought to exist within a collapsing cavitation bubble. Electrochemical evidence for radicals produced by water sonolysis has been gathered. The technique was also shown to be sensitive to nmol dm-3 s-1 levels. We have also employed this approach to investigate the link between sonoluminescene (a controversial phenomenon) and sonochemical activity. In addition to studying bubbles produced by ultrasound, we have investigated single large bubbles produced by the discharge of a laser into a liquid. 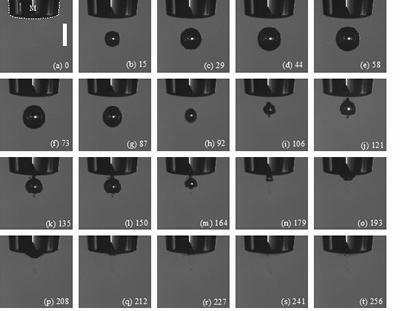 Figure L2 shows a set of images, acquired with a high-speed camera of a single bubble generated in this way and its collapse onto an electrode surface.